In the previous examples, we have already learnt that in JOGL any type of shape can be drawn with the help of GL_LINES parameter. 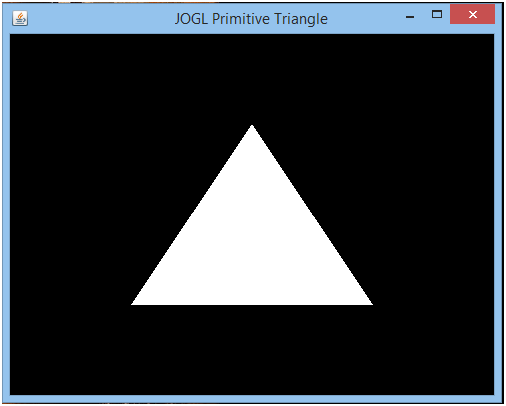 But apart from that, JOGL also contains various other parameters through which we can draw the particular shape such as triangle, quadrilateral, polygon etc. directly (i.e. in the simpler way). In this example, we will see how to create a triangle with the help of primitive triangle parameter (GL_TRIANGLES). 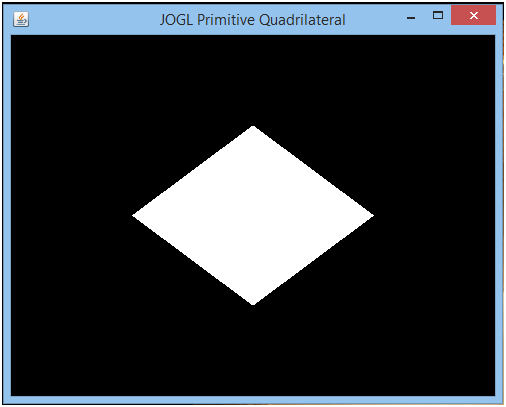 In this example, we will see how to create a quadrilateral with the help of primitive quadrilateral parameter (GL_QUADS).